Tree trimming should be done by trained professionals that practice the ISA standards. 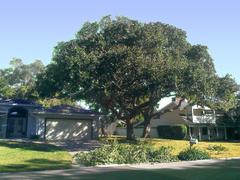 Non-trained professionals tend to over prune or cut branches in the wrong place. 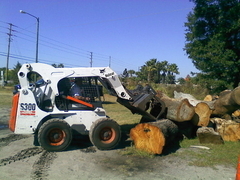 Tree removal can be very dangerous so always use a professional. There are many hazards involved such as power lines, houses, fences, and bodily injury so only use professionals. 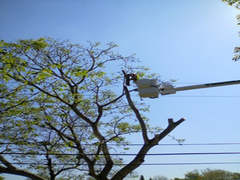 From time to time limbs may have to be removed because they become hazardous like hanging too close to your house, over a power line or they are weak and rotted. Emergency service for wind damage, trees falling or lightning; we will respond any hour of the day or night to ensure your safety. For your protection, we are fully licensed and insured, carrying workers’ compensation and general liability insurance. 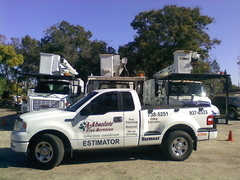 We have ISA certified arborists on staff and a BBB accredited business.